Samsung Electronics is planning to introduce automatic focus (AF) function for a front-camera of its next strategic phone called ‘Galaxy S8 (tentative name)’ in order to increase quality of ‘selfie pictures’. As Samsung Electronics is planning to introduce this function, it is predicted that new competitions for new camera technologies followed by competitions for pixels and qualities will become heated while front camera module industries will benefit from increased demands for high-quality AF products. According to an industry on the 28th, Samsung Electronics has decided to introduce encoder-type AF actuator for front camera of Galaxy S8. AF actuator is a part that goes into a camera module and controls location of lenses and adjusts focus of lenses automatically. Cameras with AF actuators find optimal focal distance according to where subjects are located. Until now, Samsung Electronics has mostly been using fixed focus-type front-cameras because they were advantageous in making camera modules smaller and cheaper and in taking simple pictures. However as expectation level of customers has increased due to selfies becoming norms, there was a need for introduction of new technologies. Samsung Electronics has decided to introduce AF for front-camera of Galaxy S8 in order to deal with subjects that are located far away. Cameras with AF actuator will be able to take pictures of subjects that are located in different distances more clearly. This is different from competitions that had been happening in the past on camera technologies. Until now, Smartphone manufacturers had been differentiating quality of their front-cameras based on pixels by either adjusting size of pixels or increasing number of pixels. Samsung Electronics is going to use a different method for actuator that will be used for Galaxy S8. Actuators that will be used for Galaxy S8 will use a encoder method instead of VCM (Voice Coil Motor) method that is usually used for rear-cameras. While VCM method has coils in center of lenses, encoder method has coils at the side and this allows camera modules to be slimmer. A reason why Samsung Electronics is using encoder-type actuator is because it is advantageous in making a Smartphone slimmer. Front-cameras need to look sleek in order to make the design of a Smartphone elegant. Encoder-type actuators do not allow Smartphone cameras to stick out of Smartphones and there are much more needs to minimize thickness of camera modules. Introduction of this technology will also bring benefits for rear-end industries. Samsung Electronics either had had its subsidiary (Samsung Electro-Mechanics) be in charge of rear-cameras of its flagship Smartphones or had developed its own rear-cameras. On the other hand, it had asked its partners to develop most of front-cameras. It is predicted that significant amount of supplies will be waiting for them for front-cameras of Galaxy S8s. When a new technology is introduced, these partners can expect increase in ASP (Average Selling Price) due to increase in number of module components. Camera modules are composed of lenses, actuators, image sensors, and packages. Companies that produce both actuators and camera modules and companies that only produce actuators can all benefit from this. 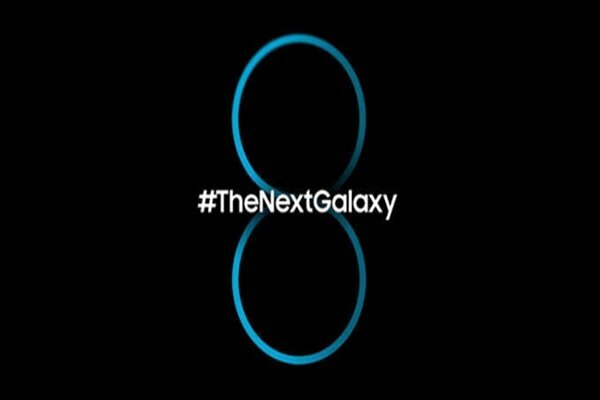 “We cannot discuss any information regarding new products that are not commercialized yet.” said a representative for Samsung Electronics regarding new functions of Galaxy S8.